In Louisville KY there’s no shortage of plumbing companies, although we’ve begun to see a shortage of licensed plumbers. 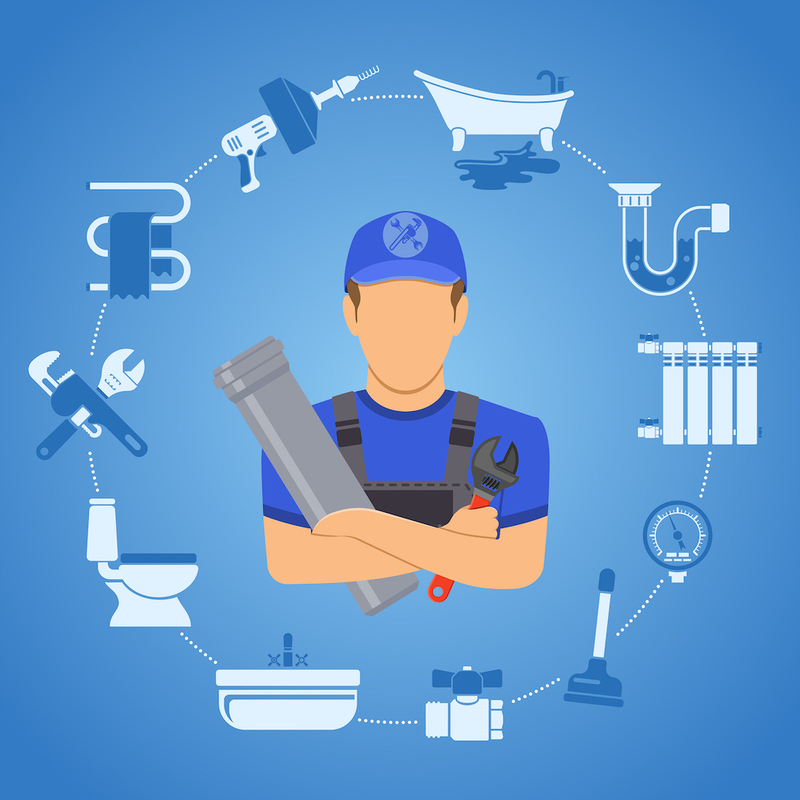 But in that wide array of companies that provide various kinds of plumbing services in Louisville and Southern Indiana, you– the customer– have to choose the one that’s right for your needs. We stand for integrity in our business. We will not speak badly of other plumbers or the ways in which they operate their business but we would like to explain why we are different than most. In this day and age it’s hard to get away from being just another “me too” business. You have to have something that makes you unique and different. Call it a value proposition, a niche, a specialty, USP, or whatever you like, but the fact remains, you have to let customers know why you’re different from the next guy. Although our name and our roots say St. Matthews Plumbing, it’s important to know that we service Greater Louisville and Southern Indiana. We answer service calls for homes and businesses along the river in Jeffersonville. And we are very familiar with the neighborhoods of Prospect and Indian Hills. From one area to the next, we are happy to serve and ready to go the distance. Our licensed plumbers also handle plumbing needs for local remodelers and builders. We enjoy partnering with them. We even have a couple niches in the restaurant business. We’re proud that we get to work with a variety of customers and love getting these kinds of unique work experiences. It holds true because of our name that we provide a lot of plumbing services within St. Matthews. If you Google St. Matthews Plumbing we’re always there. You’ll probably see our red trucks around the city of St. Matthews any given day of the week. But our reach goes way beyond there. We service regular customers in Anchorage, Indian Hills, Middletown, Jeffersontown, the Highlands, Oldham County (including Lagrange, Crestwood, and Goshen), and we make our way to downtown Louisville and Southern Indiana quite often. You don’t have to wait for a plumbing problem to surface though. You can get ahead of things with one of our plumbing inspections if you’re looking to be proactive. This might be a great idea if you think problems are lurking, if you have an older home, or if you have a big event or guests visiting soon. We also love to service local restaurants. Louisville is quite the foodie town and we kind of consider ourselves to be plumbers who are also foodies. We have several local restaurants who are ongoing maintenance customers of ours. We provide ongoing plumbing service and maintenance for their single or multi-site locations. We’ve also helped some local restaurants get their plumbing installed and up to code so they could open their doors for the first time! We have another little niche in the food industry. We’re a regional go-to when it comes to plumbing for food trucks. Kentucky, especially Louisville, has a growing food truck community. And one thing you may not know is food truck plumbing must meet stringent guidelines, a higher standard than many other states. So when Food Truck-Hopefuls look to us for assistance with this, they know their food truck plumbing is set up for a level of excellence that will allow them successful work throughout all of the U.S. We even created a Food Truck refurbishment checklist as a free tool for all those ambitious entrepreneurs out there. If you’re in the food business, we understand your unique needs better than most. We’d love to talk with you about our experience and our maintenance plans. We’ve shared some examples of WHO we serve. But we believe our WAY of doing things is worth talking about too. Just like our tagline says “the honest and reliable plumbers,” we want you to know you can trust us. We’ve distinguished ourselves as having non-commission plumbers. Our plumbers are paid by the hour so you don’t have to worry about them trying to make more money on your service call by trying to sell you things you might not need. This is a common occurrence in our industry and we’ve decided it’s not how we want to operate. We’ll be honest, but we won’t try and upsell you services you don’t need. The other keyword in our tagline is “reliable.” We hire experienced, licensed plumbers and apprentices with good character. We choose people we can trust, so you can trust them. We often tell people that we only hire plumbers we’d trust to watch our kids or help your grandparents. If you’d like to read some of our reviews that demonstrate our efficiency and reliability, please do. They are genuine reviews from real people. None of that fake mumbo jumbo you see from many service businesses. If we don’t get it right the first time, we do our best to find out what went wrong and how we can make it right. We guarantee our work. And we are always happy to hear the way our customers enjoy interacting with our team. Many of our customers compliment the way our plumbers work efficiently and respectfully in their home or business. This is SO important. But when some of these customers wanted to know more about what was going on with their plumbing, our guys took the time to explain. They were easy to talk to. Some of our customers even shared how much they enjoyed talking with them about shared interests like their love for Louisville or the interesting fact that several of our plumbers are originally from Ireland. Bottom line, we’re proud of what we do and feel like it shows in our work. Whether you’re in Oldham County, Jeffersonville, or anywhere in between, we’d love to earn your business if you’ve never worked with us before. If you’ve worked with us in the past, we appreciate your patronage and we’re here for your next plumbing need. Click here to request service, ask a question or contact us for general information.